You heard that right. 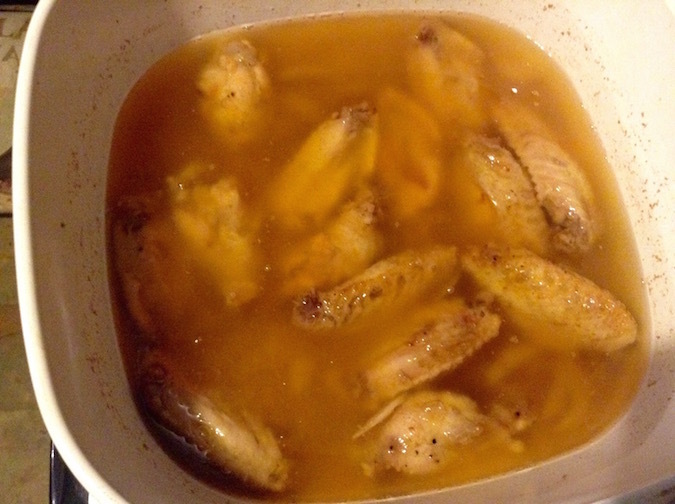 I am making confit but instead of duck legs I am using chicken wings. Crazy right? Truth be known. You can confit almost anything if you really want to. You see, confit means to gently boil in fat. Aside from duck confit, you will often find garlic confit. This is simply garlic that has been slowly roasted in olive oil. A restaurant I used to work at made garlic oil this way. This brings us to the matter at hand. Chicken wing confit is something a bit off the beaten path. Sure the chicken wings aren’t as tough as duck legs but they still work great for this slow cooking method. 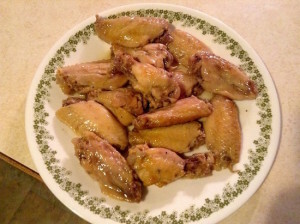 The tough part is coming up with enough rendered fat to cover the wings while cooking. For my current wings this is where I have gone a little more off the deep end. I have been saving turkey fat specifically for this purpose. I do have a general recipe for what I did here but really this is more of a guideline. A standard for this recipe is roughly 40 grams kosher salt for 5 pounds of meat and enough rendered fat to cover the meat while cooking. If you need to you can add olive oil to the pan to ensure that the meat is covered. 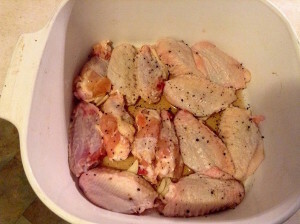 Salt and pepper, and add the garlic to the wings and then set aside in your fridge for at least 12 hours. Before cooking, rinse the wings thoroughly. 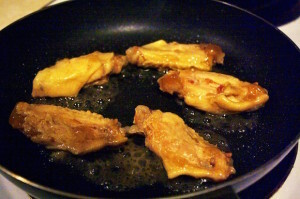 Place wings in a nonreactive pan in a single layer. Heat the fat in a pan till it turns to liquid then pour over the wings to cover. Cook in a 180 to 200 degree oven for 6 to 10 hours. The meat should be loose and delicate. Remove the wings from the pan and strain the fat through a fine strainer or a strainer with a coffee filter if you want it to be super clean. Place the wings in a nonreactive container and cover again with the rendered fat. Allow everything to cool. So good but only halfway there. Once everything is cool enough to refrigerate cover the fat directly with seal wrap (I mean directly on the surface fat to keep air off the surface). Then cover the main dish and set aside in your refrigerator for at least a week. Longer will allow the flavors to develop even more. I let the wings mellow for a week, but I could easily have let them go much longer. 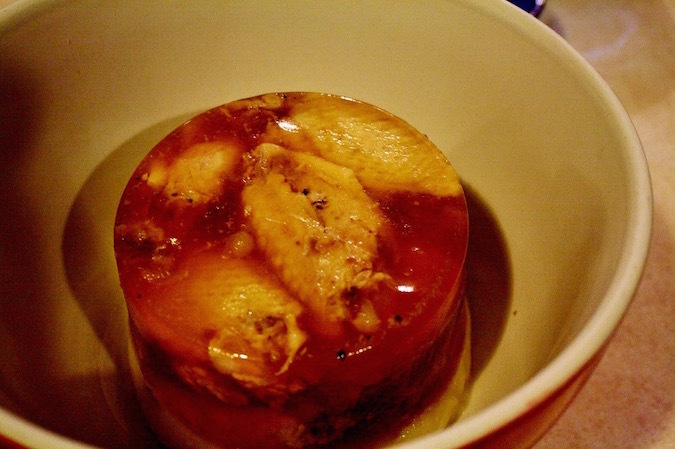 Confit is an old world traditional form of preservation. The salt and the fat are used to keep out bad microbes that can spoil your food. I know this sounds crazy right. Salt has powerful curative properties. It is a key ingredient in the creation of sauerkraut or natural pickles. Many harmful bacteria have trouble gaining a foot-hold in a salt positive environment. But rendered fat works a bit differently. 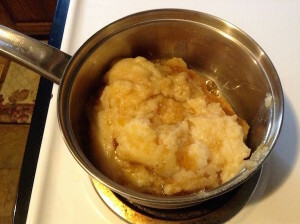 The objective when you use rendered fat is to keep moisture and air away from the food you are trying to preserve. When I placed the confit in the fridge for storage I allowed the fat to come to the surface and then covered that directly with seal wrap. This helped to keep the gelee (fancy French word for gelified stock. Yes this is where jello comes from) away from air exposure. Many spoilage organisms require access to sugar or protein as well as oxygen to grow and multiply. The rendered fat acts as a seal keeping the confit insulated from this exposure. 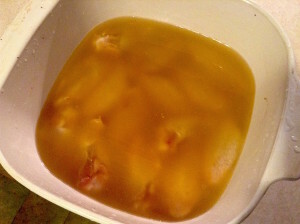 When it comes time to finish off the confit, you want to remove it from the fat and gelee without breaking the wings. Remember these were cooked for roughly 7 or so hours, so they are very fragile. I heated the outer area of the container they were in so I could pour them out. This made it much easier to pull the wings from the gelee. Wings in Gelee. This is the good stuff. The next step is to pan sear the wings to develop a crispy skin. If you have an oven safe pan it is best to do one side and then flip them and throw them in the oven for 10 to 15 minutes to warm them. I seared them in several batches and placed them on a sheet pan to finish in the oven. All that is left is to feast. These wings are different than any wings you may have experienced in the past. The confit process makes them super tender. Then the crispy skin adds a new dimension to the flavor and mouthfeel. Just add some sauce, if you can wait that long. 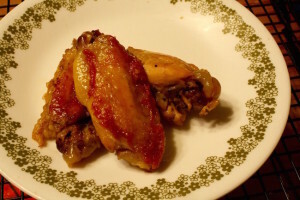 2 Responses to "Chicken Wing Confit #realfood"
Always have to do stuff just a little bit different.